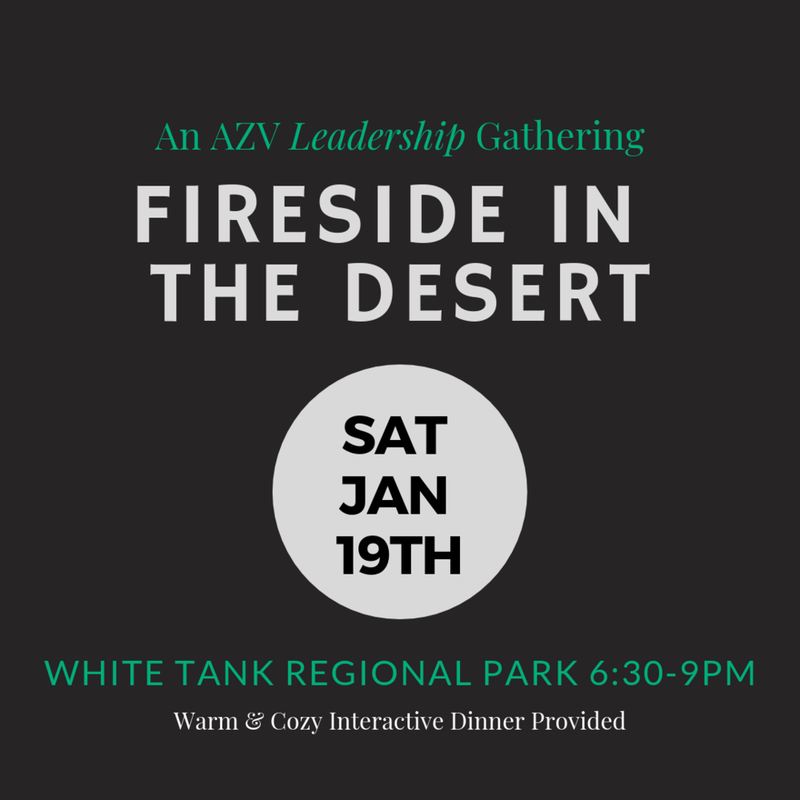 Let's join together as the AZV Leadership Team for Fireside in the Desert! This is a time for the AZV Leaders to catch the fire for 2019. You won't want to miss it! Be sure to invite your co-leaders as well because this will be a great time to unify our hearts with heaven and build stronger relationships together as we participate in building His Kingdom on earth and prepare for great growth in our local church and regionally! A warm & cozy interactive dinner will be provided! Specific location details will soon be provided...so keep watch in your inbox!